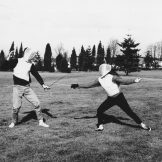 Fencing is one of the original Olympic games from 1896. 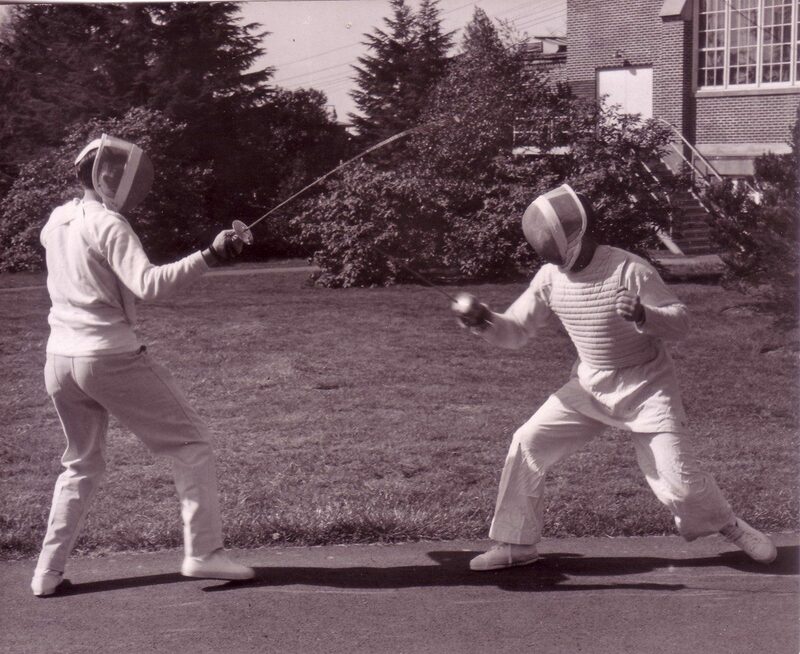 Fencing as an extra-curricular activity at University of Portland dates back to 1940s when there was a fencing club using a non-regulation floor in Howard Hall (Beacon, February 13, 1940). 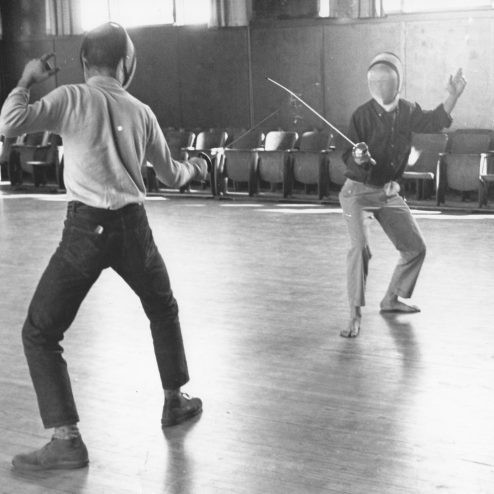 Fencing reappears in 1960 as an intercollegiate sport for men and women with teams competing against other colleges for the first time. 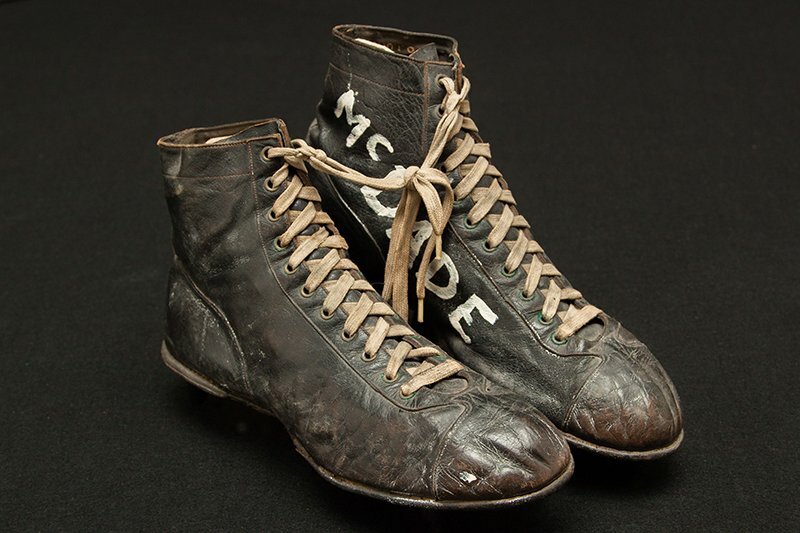 The UP fencing squad took third place in their first competition at the Northwest Invitational Foil Tournament. 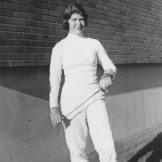 In fall and winter 1961 tournaments, fencer Mary Alice Rudovsky took the first and second place individual awards. 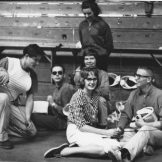 Both Mary Alice and her teammate, John Lorenz, competed for UP in the Final Intercollegiate Championship Fencing Tournament in April 1962.